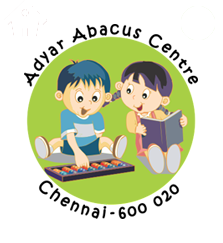 Children from age 4 to 14 years are eligible to learn ABACUS, though at the minimum age the child is required to know numbers from 1 to 20 atleast. Abacus is the best way for all children to learn how to calculate without using the calculator or pencil & paper. Saturday & Sunday 9 to 11 (Ist batch) 11 to 1 (IInd batch). Class duration : 2 hours. The entire Abacus programme is divided into 8 levels, followed by 2 Grand Levels (optional). For KG children we start with KG level of abacus and move on to basic, 2nd, 3rd, and so on. Each level approximately takes 3 to 4 months to complete (12 to 16 classes). The child is promoted to the next level after a level completion test. Certificate is also given.